The members of the Lincoln Property Company Team are integral to our company’s foundation and future. With the support and resources from our company, our employees can grow and develop both personally and professionally with our nationally recognized training programs and opportunities for success. We’re excited to share the story of one of our team members who has grown with LPC for many years. 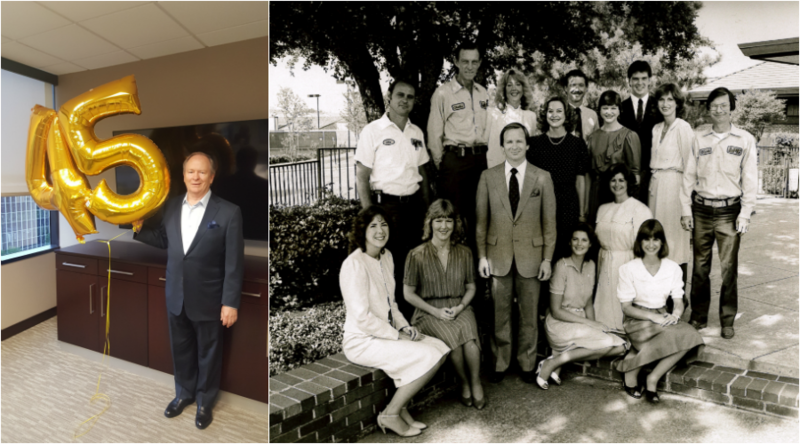 One of our Regional Vice Presidents in Dallas, Brad Williams, just celebrated his 45th year with Lincoln Property Company! Brad started from the “ground up”, as a porter and later progressed to an Assistant Manager, a Business Manager and an Area Manager for The Village Dallas. With his 45 years of experience in property management with Lincoln, Brad is currently responsible for third-party management of approximately 16,000 rental units in the Dallas/Fort Worth Metroplex. He has served as the President of the Texas Apartment Association (TAA) and the Apartment Association of Greater Dallas; he has been recognized with Lifetime Achievement Awards from both organizations. He even served as chairman of NAA in 2014. In April 2017, Brad was awarded the prestigious Frank P. Finch Presidential Award from the Texas Apartment Association.This award is given annually to an individual volunteer whose work has had the largest impact on TAA during the previous year. 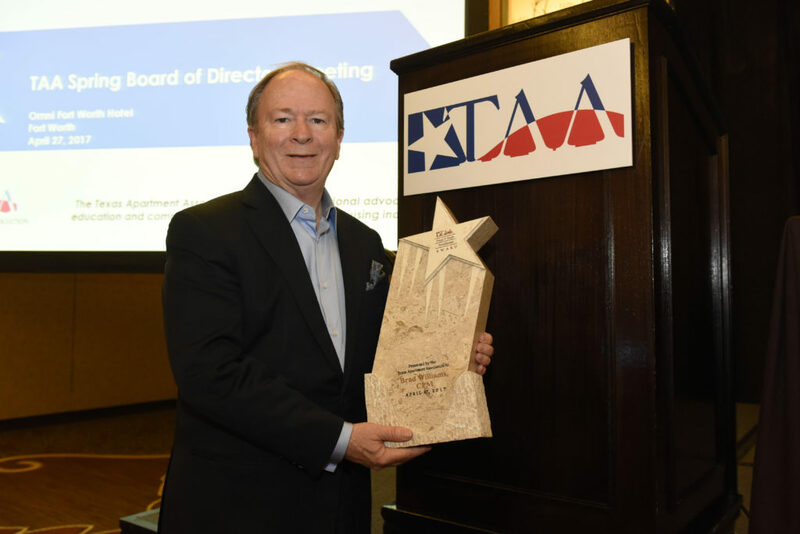 Due to his many years of leadership and service to the Texas Apartment Association and the National Apartment Association, the TAA President chose to honor Brad. Congratulations, Brad on a wonderful 45 years at Lincoln Property Company! To learn more about the career paths available at LPC, be sure to visit our careers page.